12 - 14 mmHg Graduated Compression with superior fit. Comfortable welt top band. Helps to increase circulation and prevent swelling. 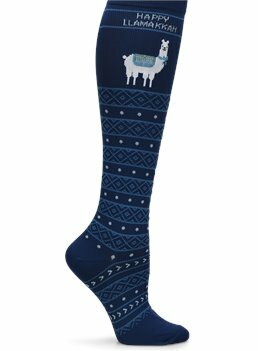 Standard ladies sock size 9-11 fits most.